Henning Larsen Architects continues to set new international benchmarks for contemporary learning environments and sustainable design. 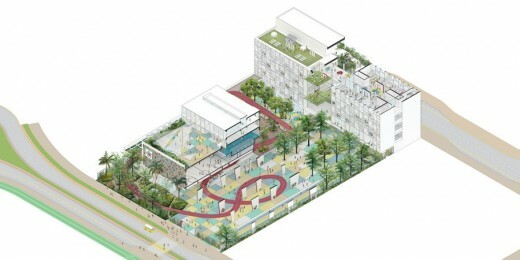 NEW YORK, NY, December 1, 2015 – Henning Larsen Architects has been named as the design architects for a new educational facility, the French International School’s (FIS) Tseung Kwan O campus in Hong Kong (estimated completion 2018). The Danish architecture firm is known for its visionary design of universities, dynamic mixed-use communities, and iconic cultural landmarks. 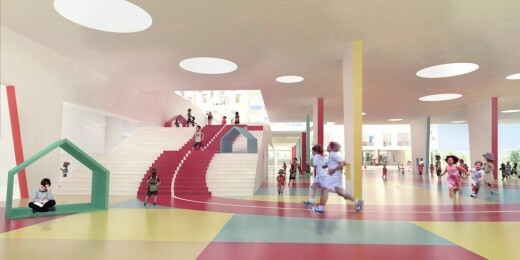 FIS Tseung Kwan O aspires to achieve a new ideal for elementary school design. Classrooms in the K-13 school will be flexible, allowing spaces to be merged or separated on demand. Throughout the buildings, a variety of dynamically scaled common areas can be utilized for both social gatherings and learning activities. The new campus will also offer state-of-the-art sporting facilities – a large gymnasium, swimming pool, and running track – as well as a 300-seat auditorium, all of which will be open to the general public. A focal point of 18,000-sq.-ft. building will be the southern façade, where 1,000 brightly colored ceramic tiles, each designed by a student, symbolize the diversity of the school. Not simply decorative, the solar screen will diffuse daylight into the adjacent gymnasium and work to minimize heat gain. 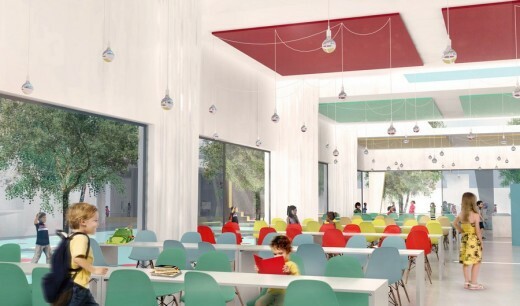 Henning Larsen Architects has incorporated a host of green-building features into the school and the site, including harnessing prevailing eastern winds to optimize natural ventilation. Outdoors, three playgrounds, hanging gardens, communal terraces, and a botanical garden will give students an opportunity for hands-on learning about plants, rainwater collection, and other environmental issues. Henning Larsen Architects, founded in 1959, is an international architecture and urban design firm with offices in Copenhagen, the Faroe Islands, Hong Kong, Istanbul, Munich, Oslo, and Riyadh. It is particularly well known for designing dynamic mixed-use communities, iconic cultural landmarks, and innovative educational facilities. Its broad portfolio includes state of-the-art research institutes, sustainable city districts, and flagship commercial headquarters. Henning Larsen Architects is the acknowledged expert in sustainable design practices in Scandinavia. The firm is committed to creating environmentally responsible, energy-efficient projects that provide social, as well as architectural, solutions. Tseung Kwan O campus is located at a 5-8 minutes walk from Tseung Kwan O and Tiu Keng Leng MTR stations.